Visiting students were able to gain first-hand exposure to veterinary clinical education in the U.S. with rotations through the Purdue University Veterinary Teaching Hospital. 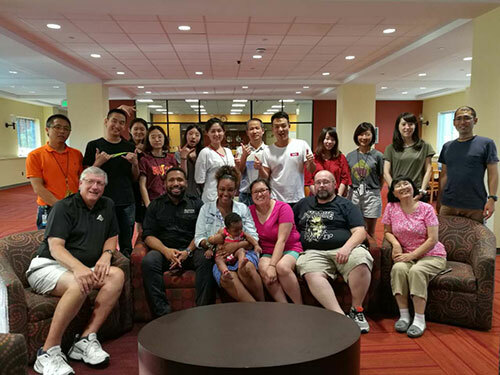 Purdue University College of Veterinary Medicine would like to recognize two delegations of veterinary and veterinary technology students from China and Japan who completed a two-week exchange visit with the College on August 1. 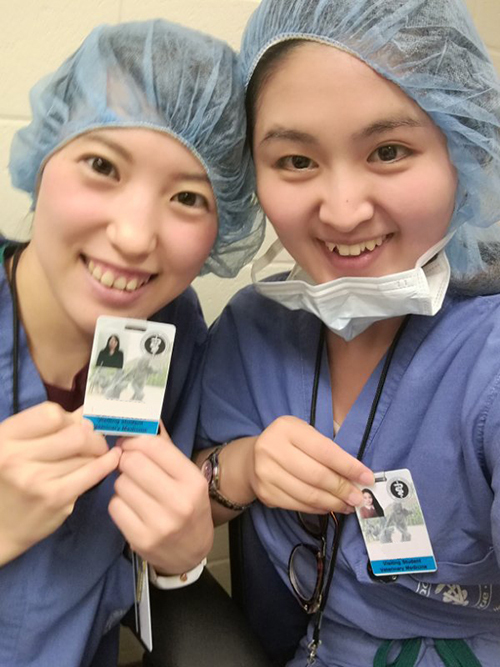 As part of a reciprocal exchange agreement made through the PVM Office of International Programs, a total of 10 students along with two faculty members observed various clinical rotations and participated in a variety of events and activities. Students from PVM participated in their portion of the exchange earlier in the summer. The Rakuno Gakuen University delegation from Hokkaido, Japan consisted of three veterinary technician students and Associate Professor Takanori Kooriyama. The group from Sichuan Agricultural University in Chengdu City in China's Sichuan Province was comprised of six veterinary students, one visiting scholar, and the college of veterinary medicine's program leader, Associate Professor Sui-Zhong Cao. The exchange arrangement gives the visiting students an opportunity to spend time in the Purdue University Veterinary Teaching Hospital, gaining first-hand exposure to veterinary clinical education in the U.S. Their itinerary also included a variety of fun activities to introduce them to Indiana and local attractions and culture, including a summer picnic at Happy Hollow Park and a visit to Fair Oaks Farms. A farewell reception for the delegations was held on July 31. The PVM Office of International Programs would like to thank all the faculty, staff, and students who have made this exchange an amazing experience for these students. The continued support goes a long way in exposing students to a different perspective of veterinary medicine as well as a new culture. PVM family and friends hosted a dinner for the international delegation of students from China and Japan at Hawkins Hall during their two-week visit to the College. 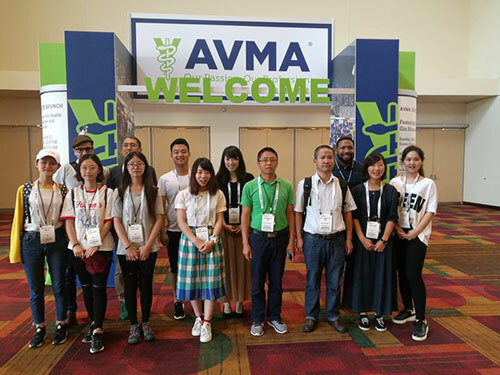 During the exchange visit, students took part in the annual AVMA Convention in Indianapolis. 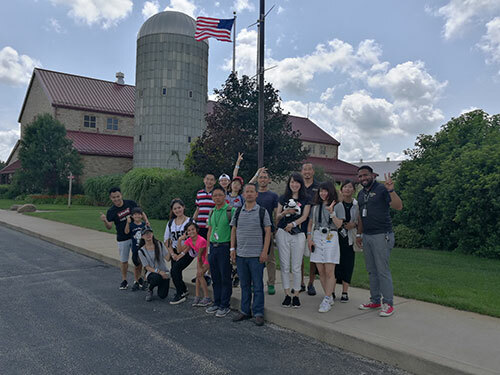 The itinerary for the two-week visit included a visit to Fair Oaks Farms, along with a variety of fun activities introducing the delegations to Indiana and local attractions and culture.